There is nothing better than sitting next to the person you love to watch a romantic movie. Watching two people fall in love, watching their wedding, and seeing the love that they share all make for a great romantic movie. If you are not sure which movie to watch, the following movies are the top 5 most romantic movies of all time. This is the story of the God fearing, reverend’s daughter, Jamie Sullivan and bad boy turned good, Landon Carter. After his is involved in a prank where a classmate was hurt, the judge ordered Landon to tutor under privileged children and star in the school play. These are two things that Jamie does voluntarily. At first, the two of them but heads, but soon, Landon begins to see all the wonderful things about Jamie. He looks in her notebook one day and sees a list of things that she want to do before she dies. On their first date, Landon helps her do three of them. The closer Jamie and Landon get, the more angry his friends become. They take photos of Jamie’s face and photoshoped it on a naked body and passed them around school. Landon gets angry and punches his best friend in the face, before running off with Jamie. On one of their dates, Jamie breaks down and tells Landon that she has incurable cancer and that she is dying. Landon takes it really hard and goes to his estranged father, who is a doctor, for help. When he finally accepts that there is no hope, he decides to make what little time left special, and he marries Jamie. After Jamie passes away, Landon takes everything that he learned from her about faith, love, loyalty, and honor, and he becomes a better person. He visits Jamie’s father at the end of the movie, and lets him know that he was accepted to medical school. This movie is not only romantic, but it shows how to value the moments – as it’s described here at weddinganniversarygiftideas.ca – “We do not remember days nor presents, we remember moments!”. Action movies never get boring and always leave you at the edge of your seat. Unfortunately, some action movies leave you wanting to walk out. Below is a list of the worst 3 action movies of all time. 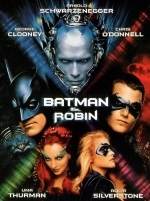 With a star studded cast, including George Clooney, Chris O’Donnell, Arnold Schwarzenegger, Uma Therman, and Alicia Silverstone, you would think that this movie would be a hit. Unfortunately, thanks to the graphics and the dialogue, this movie is awful. 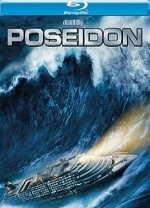 This is a remake of the 1970’s film, The Poseidon Adventure. The original movie was a hit. Unfortunately, the remake wasn’t so great. The character’s story lines were awful, and the special effects were just as bad. This movie is based on the 1960’s television show Lost in Space. Unfortunately, this movie was not nearly as popular as the television show. © www.transitlefilm.com. All rights reserved.